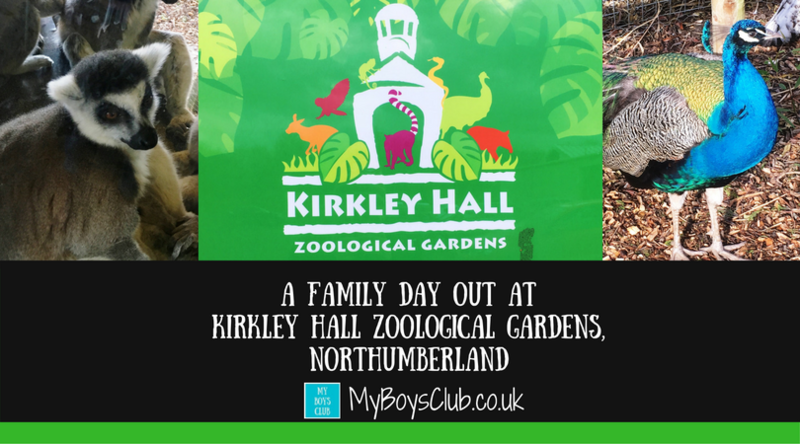 Although Kirkley Hall Zoological Gardens opened in Northumberland in 2011, it is a local tourist attraction that both we and the boys were yet to visit. So when an invitation arrived inviting us to review the small zoo as a family, we said yes. As well as providing a great family day out the aim of Kirkley Hall’s dedicated zoo team is to educate people about the various species of animals we have and their behaviours and habitats. So off we set to find out more. And knowing how much the boys love animals we were very much looking forward to it. Located just outside of Newcastle, it took only 20 minutes to travel there by car, and there is plenty of free parking available on site. The zoo is part of Northumberland College's Kirkley Hall Campus and was set up as an educational training facility for the college’s Animal Care students as well as becoming a tourist attraction on weekends and school holidays. Since opening nearly seven years ago the zoo has grown massively and now boasts over 200 species of animals, reptiles and birds including alpacas, ring-tailed lemurs, marmosets, capybara, wallabies, kookaburras, snakes, lizards and smaller domestic animals in the petting barn. All visitors can meet the zookeepers, enjoy various animal encounters and even have the opportunity to hold reptiles and domestic animals. We did all of this. We started by watching the Ring Tailed Lemurs have their breakfast, whilst we listened to a very informative and engaging zookeeper tell us about the lemur family they have and also how Kirkley Hall Zoo is helping projects to protect Lemurs in the wild as part of their In-situ conservation work which is helping protect and save habitats around the world where animals live naturally. 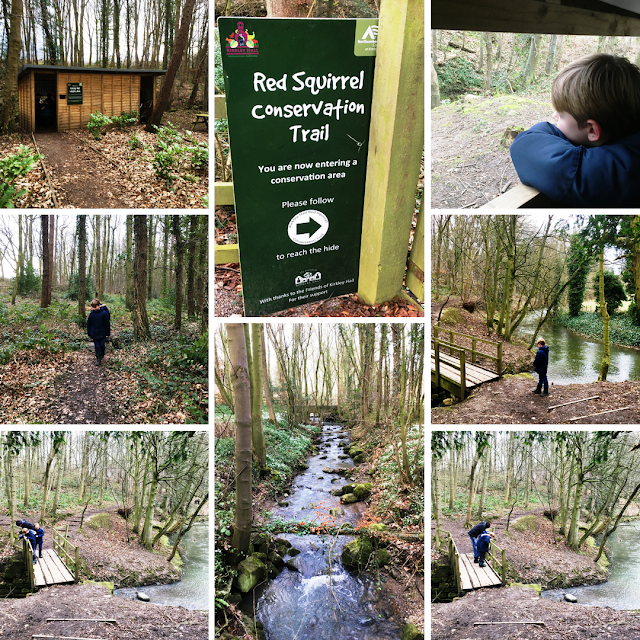 As well as the Lemur Conservation Association, Kirkley Hall also supports the World Parrot Trust / World Pheasant Association, Cotton Top Tamarin Conservation Club and closer to home the Red Squirrel Project – more of them later. 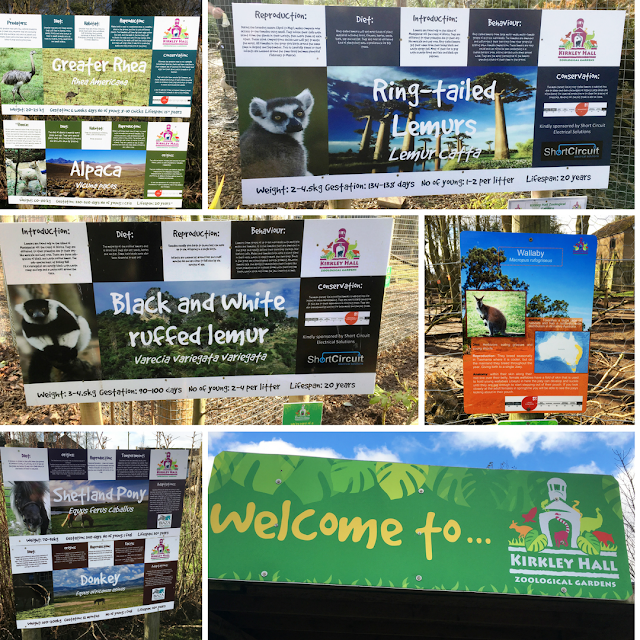 Kirkley Hall Zoological Gardens is also helping species away from their natural habitat by taking part in fund-raising, awareness and breeding programmes of endangered species. Next, we went to the petting sheds where the guinea pigs were very cute. Here you will also find rabbits, donkeys and you can see the lemurs close up when they come inside. But soon it was time for an animal encounter, and for this, we headed back to the main building and to a classroom for an encounter with reptiles. The boys were very excited. 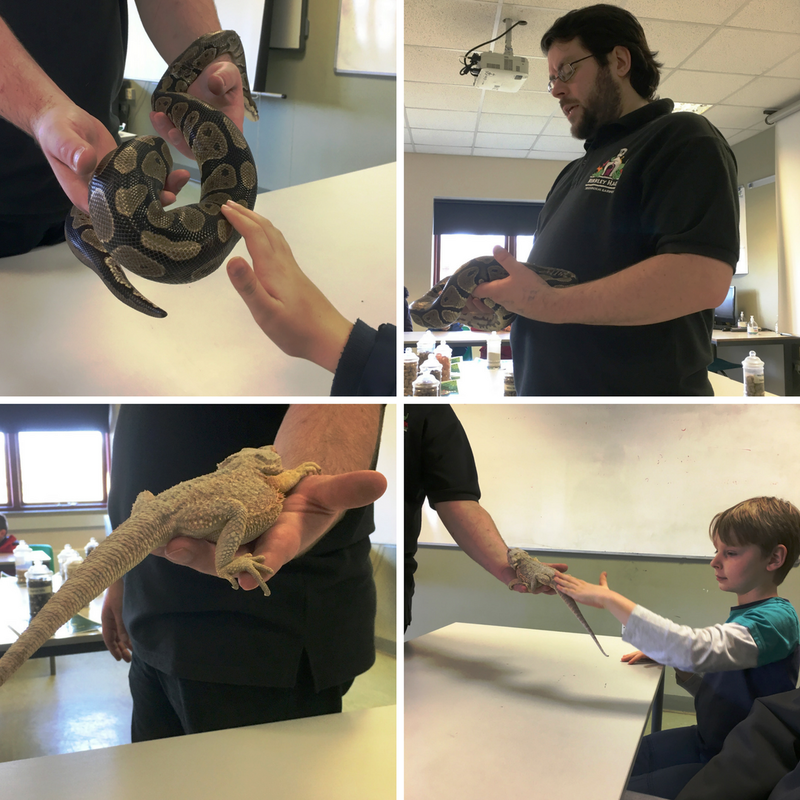 We sat in a u-shape behind desks and listened to the zookeeper tell us all about snakes and lizards, and then we got to see a Royal Python and a Bearded Dragon Lizard close up and touch it if we wanted to. The presenter was very informative but also entertaining and built up a good rapport, not just with the children but the adults in the room too. 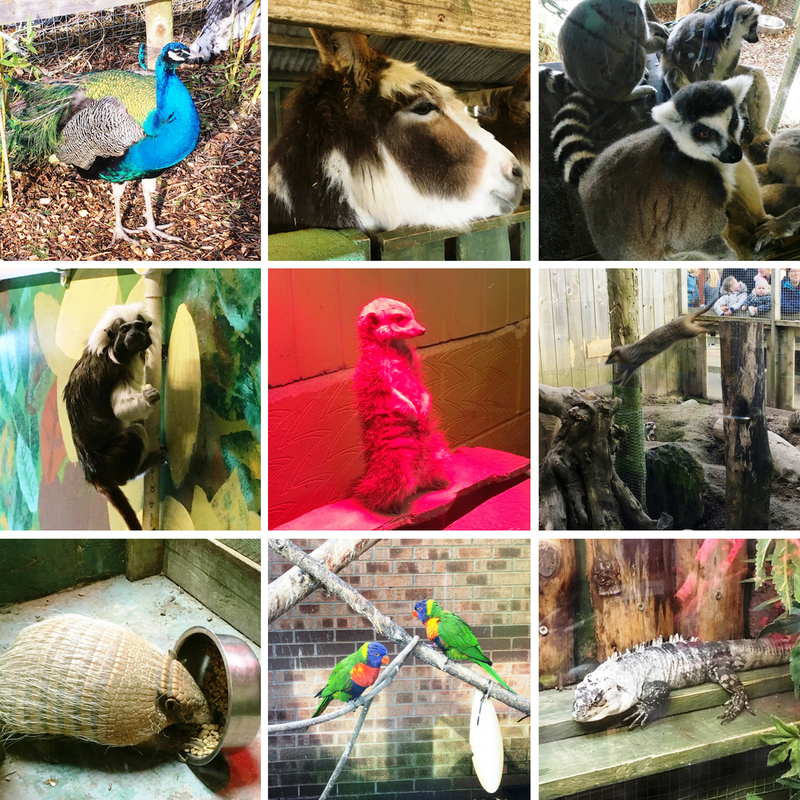 We took some time looking at the animals inside the Walk of Life, which includes amphibians, reptiles, primates and Armadillos and the mega cute Meerkats before venturing back outside and through the Aquatics Centre. The centre also houses amphibians and other water-loving species, showcasing all four water habitats; brackish, freshwater, marine and cold water. 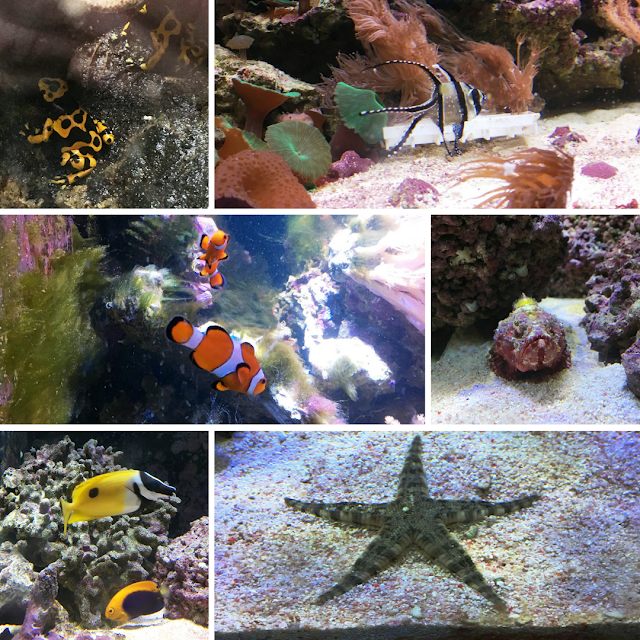 There are over 6000 litres worth of aquariums that are home to fish, invertebrates and amphibians. The Meerkats had been fed and now it was our turn. 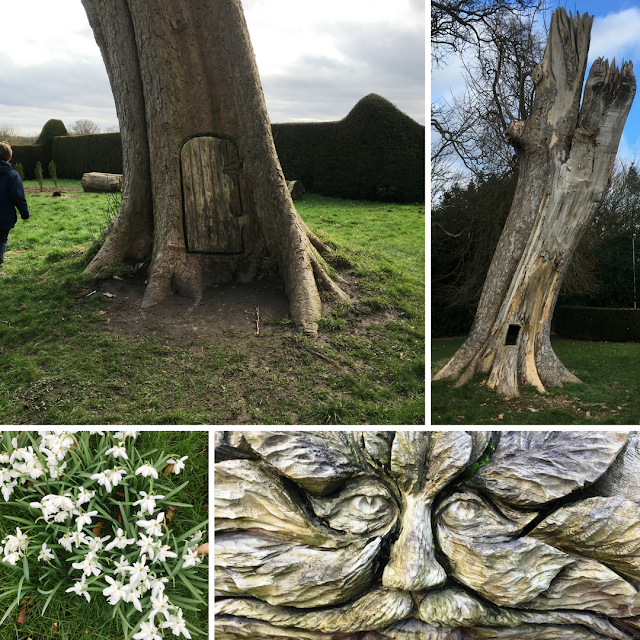 We headed to The Orangery, outside of the zoo itself but still within the grounds of Kirkley Hall. It was very busy at lunchtime and the three staff were working very hard, we were lucky to get a table but we did. The boys opted for a lunch box which would have cost approx. 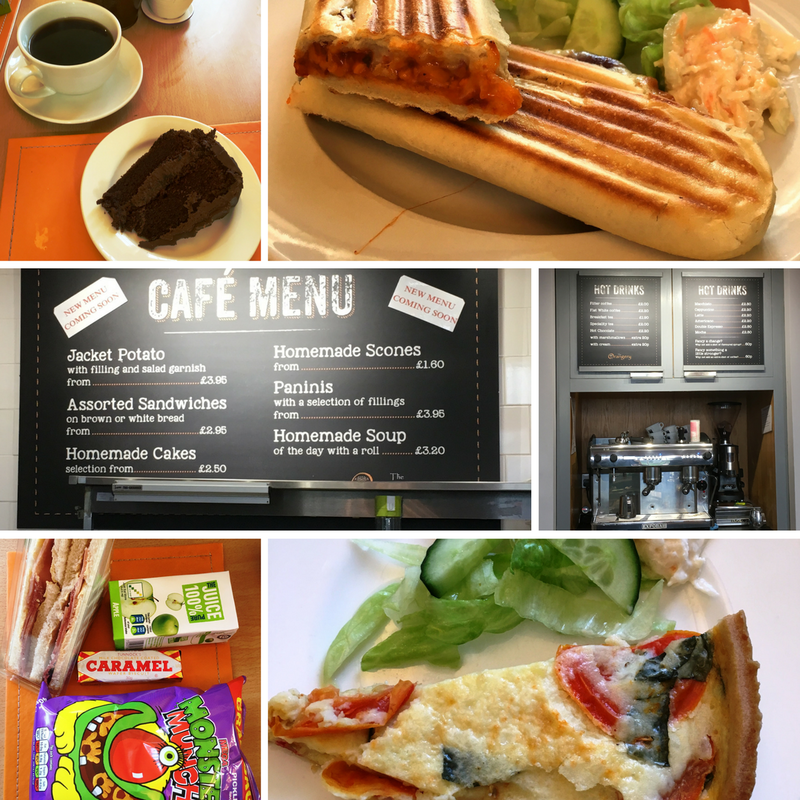 £4, whilst we chose Vegetable Quiche and a Mexican Cheese Panini from the menu both £3.95 – unfortunately they had run out of Jacket Potatoes – and we also shared a piece of chocolate fudge cake and enjoyed a coffee to warm us up – it was February and pretty chilly outside. After lunch, we went in search of Red Squirrels on the Woodland Walk. Sadly we didn’t spot any Red Squirrels or Kingfishers but we did play pooh sticks a few times. Even in February, this was a lovely walk through a carpet of snowdrops, past the Red Squirrel Hide, alongside the meandering stream. 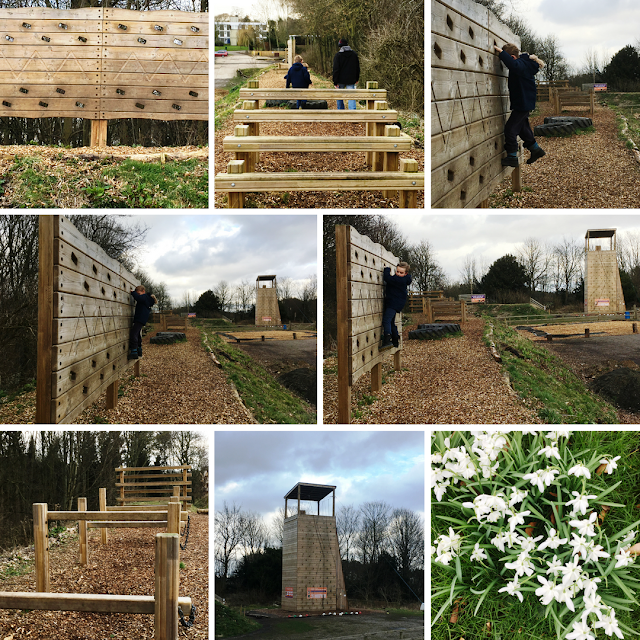 Eventually, the walk took us to the Kirkley Hall Outdoor Activity Centre which is also is set in the idyllic grounds of Kirkley Hall estate. We didn’t try out the activities but the boys did have a go at the adventure park which was enough to make them want to go back to try the climbing wall and aerial zip away another time! The zoo has a full zoo licence, is a member of the British and Irish Association of Zoos and Aquariums and although I’d rather see animals in the wild I do like that Kirkley Hall Zoological Gardens has links with various partners to actively promote the conservation of animals including the Wildlife Trusts, Red Squirrels Northern England and Newcastle University. 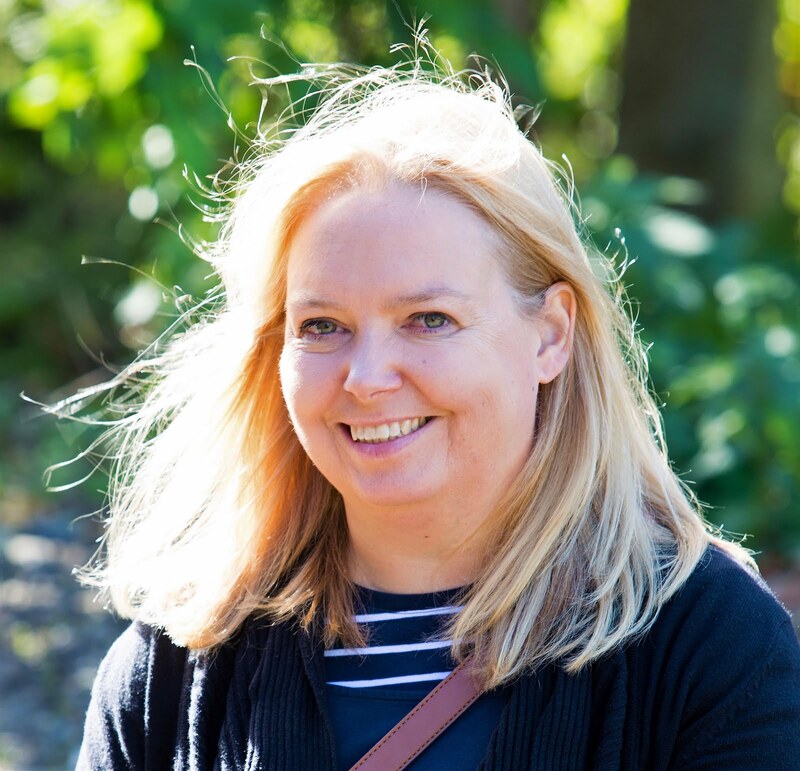 As I said earlier the Zoo aims to be a great family day out and one in which their dedicated zoo team can educate people about the various species of animals we have and their behaviours and habitats. I asked the boys what they had learnt – they said “Meerkat eat grubs but their favourite food is a scorpion” and “Lemurs are only found in Madagascar in the wild”. They also loved all of the animal encounters. We’d not only had a lovely day out but the boys (and mum and dad) learnt something too! The dual ticket is valid for Kirkley Hall Zoological Gardens and Kirkley Hall Activity Centre. You must be aged 6 and over or 1.2m to qualify for the Activity Centre. As part of Northumberland Residents Festival, Kirkley Hall Zoological Gardens will be offering a 50% discount on all tickets for residents of Northumberland, please note proof of address will be required. Come along to Kirkley Hall Zoological Gardens and take part in our Easter fun! You can join in on an egg hunt, craft sessions and story time. A whole week of events to bring out your inner zoo keeper! Every day there will be different activities for you to join in with including helping the keepers with their daily checks, feeding the lemurs, training the cockatoos and walking the Shetland ponies. Book between one and five days, the choice is yours! £30 per day, open for children aged 5-8 and 9-15, lunch included. Get up-close and personal with amazing megabugs that creep and crawl. See giant tarantulas, frogs, geckos, spiders and beetles; try and spot stick insects camouflaged amongst the leaves or a praying mantis on the twigs. Count the rings on the tree trunk to discover its age and guess the number of legs on a giant millipede. Have you been to Kirkley Hall Zoo? Disclosure: We were invited to Kirkley Hall Zoological Gardens as a family and received free admission and lunch in return for an open and honest review. This looks so good!! I will definitely have to visit. I love animals 😍!